I am a HUGE fan of Austin, TX – definitely one of the best places I have ever been to for music and food, if not the. best. place. During my last trip there, I made sure to pick up some fresh tortillas that I have been keeping in my freezer so that I can pretend I am still in Austin when I eat breakfast here in Athens (I will be very sad when they are gone). One of my favorite foods to eat while in Austin is the breakfast taco, and I have no idea why these things aren’t EVERYWHERE! SO GOOD! 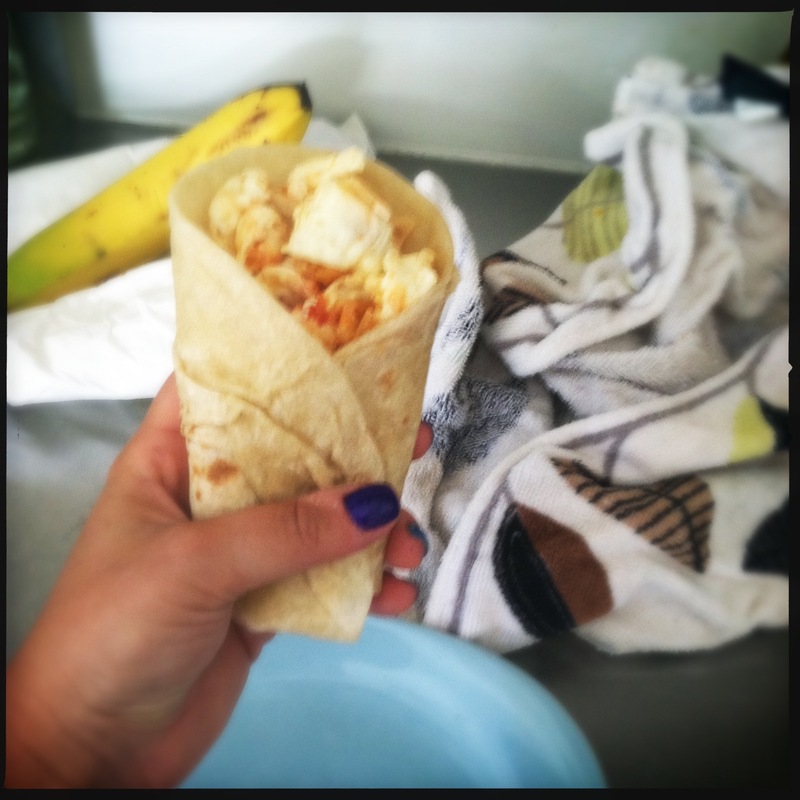 Another fun breakfast item – Migas – a mixture of scrambled eggs, cheese, salsa, tortilla chips, and other ingredients. 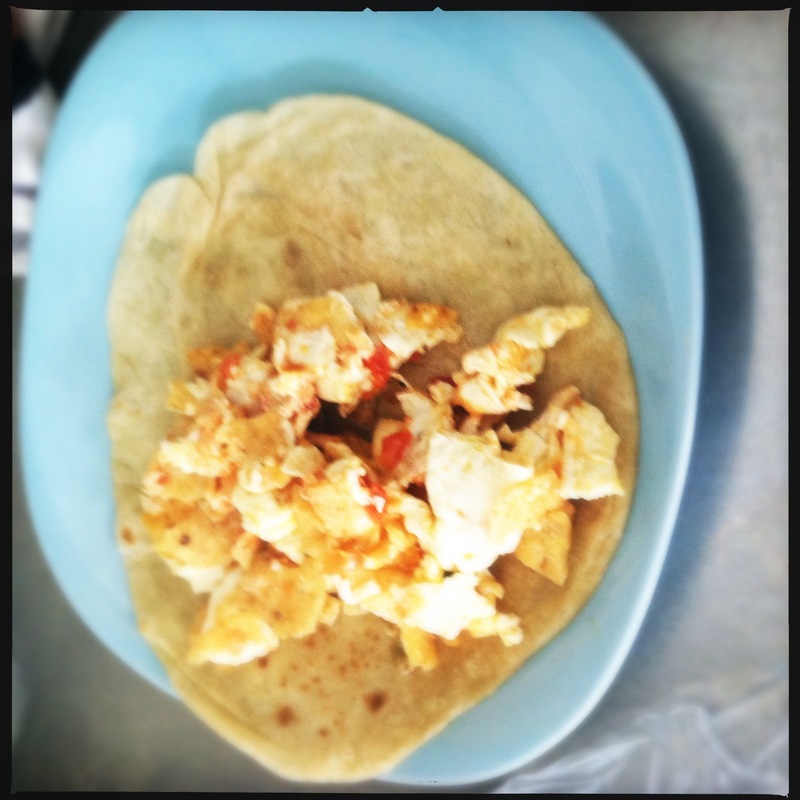 While I will not claim that I make anything near the breakfast tacos or migas that one might get in Austin, I have thrown together my own version of a migas breakfast taco that makes me happy. And that’s all that matters, right? !